Giant monsters destroying cities are always entertaining to watch, unless you are in one of those cities being destroyed by said monster. In Elk Studio’s latest pokie, they have used this apocalyptic theme to create an exciting pokie for any fan of old B movie monsters or modern films like Pacific Rim. The word Kaiju is a Japanese word which means “Strange Beast” and the three antagonists we find here are certainly strange scary creatures. 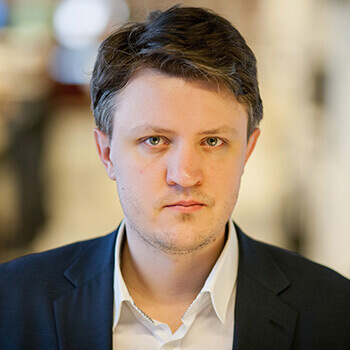 Elk studio’s recent output includes the pirate themed Wild Seas, along with the historically themed Hidden, Ivanhoe and Poltava, making Kaiju quite a unique theme for the developer to tackle. The reels in Kaiju are actually not arranged on a frame or grid, instead the icons spin on invisible reels making the icons float n the air as if being displayed on some futuristic computer display that can be projected onto thin air. While Kaiju lacks the humour of something like Electric Sam and Sam on the Beach, it is still an entertaining time. The music has a great futuristic quality and the intro and presentation is certainly great. The high RTP will really get pokie players’ blood pumping as much as the soundtrack and the reel action. A few more effects when you land a winning combination or some additional graphical or even video features would have made this game stand out much more. As it stands, while Kaiju is a lot of fun, you can’t shake the sense that there should have or could have been more on offer here. Fighting the giant Kaiju beasts takes place on a special free games reel. This reel can be reached by matching three of the black haired hero’s symbols on the reels. When you are taken to this new bonus screen you will also confront a randomly chosen Kaiju monster from a selection of 3 which features a red, green and blue monster. You must defeat this evil Kaiju by firing it with special lasers that get launched when you land vertical winning combinations. There is even an additional feature where you an actually expand the reels in the bonus round, upwards. This will also remove the standard 20 paylines and instead replace them with a 243 ways to wins setup. 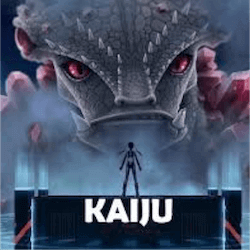 Kaiju is a unique pokie that doesn’t take its theme and features far enough. More could have been done with the giant monster theme. Despite its good graphics and atmosphere, players will want more from their pokie.